Hello everybody! Today, I’m going to be doing the Books I Want to Read tag, which I found on Laura’s blog. Onto the post! Hello everybody! Recently, I’ve seen quite a few posts where people have listed books they really want to get to before the end of the year (‘HOW is there almost only a month left of this year by the way?!? ), so even though I’m rubbisg at doing TBRs I thought I’d share some of mine. Onto the post! 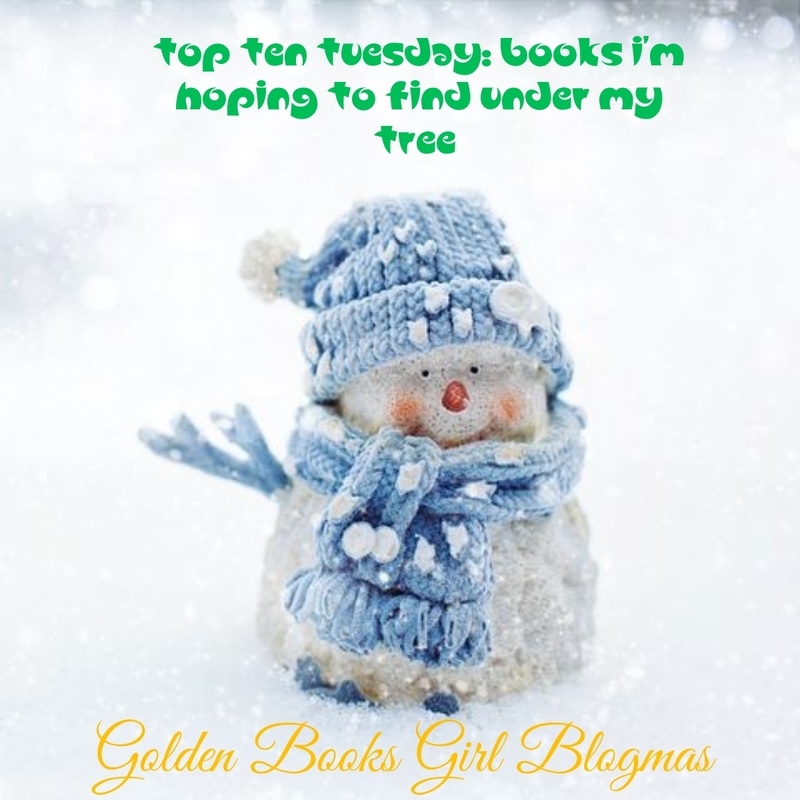 Today, I’m taking part in Top Ten Tuesday, which is hosted by That Artsy Reader Girl. Today, in honour of 4th July celebrations in America, the theme is books with red, white and blue covers, which I’ve decided to do a mixture of (3 for each, so 9 instead of 10). Onto the post! Mistletoe and Murder– this is the 5th of the Murder Most Unladylike series, and I love it just as much as all the others. It’s set in Cambridge over the Christmas holidays, features a secret climbing society and an appearance from the Junior Pinkertons, and is an absolutely brilliant mystery. As an aside, the chapter headers are fantastic! Picture Perfect- given this post is in honour of 4th July, it seemed fitting to include the 3rd of the Geek Girl series, which is set in America and has stars and stripes on its cover. It’s not my favourite of the series, but I still love it a lot, and there are of course plenty of hilarious moments. Also, Annabel gets a moment where she really shines, and Annabel being a full on badass is brilliant. It’s a Wrap– this is another comedy YA, and it’s a great ending to a great trilogy. It’s about Elektra, a young actress, and in this book she’s navigating the trials and tribulations that come with publicising a film. There are so many scenes that had me giggling, and I really enjoyed this. The Mystery of the Clockwork Sparrow– this is the first of the Sinclair’s Mysteries, and it has an excellent self-contained mystery while also introducing the characters and superb setting of Sinclair’s department store, and setting up plot points for the series arc. Marshmallow Skye– this is the 2nd in the Chocolate Box Girls series, and it focuses on Skye. Its blue cover is beautiful, with gorgeous little bird illustrations, and I love it. Skye is such a lovely character, the chocolate business is brilliant to read about, and the plot of Skye trying to uncover the secrets of her ancestor Clara Travers is so interesting. State of Sorrow– I read this very recently, and really liked it. It’s about a girl called Sorrow, who lives in a country called Rhylla which has been forced into perpetual mourning by her drug addict father, who is the chancellor of Rhylla, for her brother Mael and mother Cerena, both of whom died 18 years ago, and what happens when the political landscape changes very suddenly, and she must compete to become the new chancellor. The worldbuilding is phenomenal, I found Sorrow really interesting as a character, the secondary cast are all well developed and interesting also and the twists and turns are incredibly shocking. Open Road Summer– this was one of my last reads, and I’m still a bit breathless from how much I loved it. Composing my thoughts into a review will be both difficult and exciting, but my main thoughts are the narrator Reagan is complex and clever and I want her to be happy, her love interest Matt is incredible and basically perfect, her friend Dee is so sweet and I want to wrap her in a hug, and the landscape relationships between the three of them are a delight, and they fit together so well. Did I Mention I Love You?- this is with me on holiday, and I’m hoping to get to it. It sounds like a really enjoyable YA romance, and I’ve heard incredibly good things about the whole trilogy. George– this is another book I brought on holiday. It’s a contemporary middle grade about George, a trans girl, as it’s announced her class is putting on a play of Charlotte’s Web and she decides she desperately wants to be Charlotte, but isn’t allowed because everyone thinks she’s a boy. It sounds like a lovely story, and I’m hoping for lots of Charlotte’s Web references because it’s my favourite classic. What are your favourite books with covers of these colours? Are you a fan of any of the books I’ve mentioned? Let me know in the comments or on Twitter @GoldenBooksGirl! Today, I’m going to be talking about a few books I bought last year that I ended up not reading, and I’d really like to read during this summer if I can (though I’m atrocious at sticking to a TBR so who knows if I actually will?!). Onto the post! Love and Gelato – a book with an Italian setting and ice cream in the title seems like the dream summer book for me. I heard some less positive things about it last year just after it came out and it sort of put me off reading after I bought it, but now I’ve forgotten the criticisms I definetly want to get to it. Eden Summer– this sounds a little darker than everything else on this list, as it’s about a girl dealing with the disappearance of her best friend, but I enjoy a good thriller from time to time so I think this should be a great, gripping read with some summery vibes. When Birds Fly Back– this sounds like a lovely book, and I can’t believe I didn’t get to it last year. I was considering reading it after summer, but ended up deciding to leave it till this summer instead. As a sidenote, I am ridiculously excited to read this author’s upcoming MG book I, Cosmo, though I fear it may break me. It’s about a golden retriever who sounds so sweet, and I think we all know I love a golden retriever! When We Collided– I read Emery Lord’s other books that are published in UK when I was on holiday last year, and it seemed only fitting to save this one for 2018. I’ve heard mixed things, but I’m hoping I enjoy it. I also found out another of Emery Lord’s backlist (Open Road Summer) is getting published in the UK this year and I’m so excited! Are there any books you’d really like to get to this summer? What do you think of the books I’ve chosen? Let me know in the comments or on Twitter @GoldenBooksGirl! As today’s Top Ten Tuesday (hosted by Jana of That Artsy Reader Girl) is a freebie, I decided to use a topic from before I started participating: books I’ve had for a while but still haven’t read! I have a lot more than 10 books on my TBR (over ten times that… oops), so these are mainly things I boughtat some point in the last few months or years. I’ve had to select these quite carefully, as there are other books fitting this description I have a different post planned for! Onto the post! Anne of Green Gables– I’ve owned this in various editions since I was 6, yet I’ve never picked it up. I didn’t really enjoy the TV adaptation I saw, which has put me off a bit, but it’s one of my mum’s favourite classics so I will need to give it a chance at some point! The Starman and Me- I was mainly attracted to this because of the cover, but the plot, of a boy meeting a prehistoric human, also sounds great so I really should give it a go soon! It looks like the sort of lovely MG I’m sure to enjoy at least a bit, if not love. The Secret of Supernatural Creek– I’m actually quite ashamed I’m still to read this, because it was one of my most anticipated releases of 2017. I’m terrified to read it, as Laura Marlin is one of my favourite series ever, but I’m almost certain it’ll be as fantastic as the others so I will most certainly be slotting in a reread of the original quartet and this at some point this year. The His Dark Materials trilogy– another one that I can’t believe I’m yet to get to. I feel like everyone has read these, and I’ve had them out of the library for ages, but part of the reason I haven’t read them yet is that I don’t know how on earthI’ll review them, as it somehow feels bizarre to do it in my usual way. I may just not review so that pressure is gone and jump in when i have a chance to read them all one after the other, as I do think I’ll quite like them. Diamonds and Deception– this has been on my TBR for ages, and it sounds so up my street (a historica mystery), I really have no clue why I’ve not yet read it. Operation Rhino– I’ve owned this book since the week it came out, and yet I’ve never read it. I think it’s because it had been so long since I’d read the series I wanted to reread, but I kept not doing so as I remember they made me really emotional the first time. I definitely need to read it soon, and potentially just skip the reread. Little White Lies– I was given this book a couple of years ago for Christmas and it looks perfect for my very specific taste in thrillers, but I’m yet to read it. I only pick up thrillers on occasion, but I have a few on my TBR I love the look of so I plan to try and read a few in the next few months. The Boy Who Went Magic– this sounds like a fabulous MG, and I was intrigued by the extract, so I must give this a try soon. I love MG fantasy as a genre, so I’m hoping it’ll be a good read. The Boy With One Name– I was really excited about this debut before it came out, but I’ve still not got to it. Like The Boy Who Went Magic, it sounds like a super interesting MG fantasy, so I’m looking forward to trying it to see what I think. I saw it highly recommended the other week by an author whose book I really liked as well, which makes it even more of a priority. What books have you had on your TBR for ages? What do you think of the ones I’ve mentioned, if you’ve read them? Let me know in the comments or on Twitter @GoldenBooksGirl!